I think that I have mentioned that my daughter is big into cutting things right now. She loves using her safety scissors. 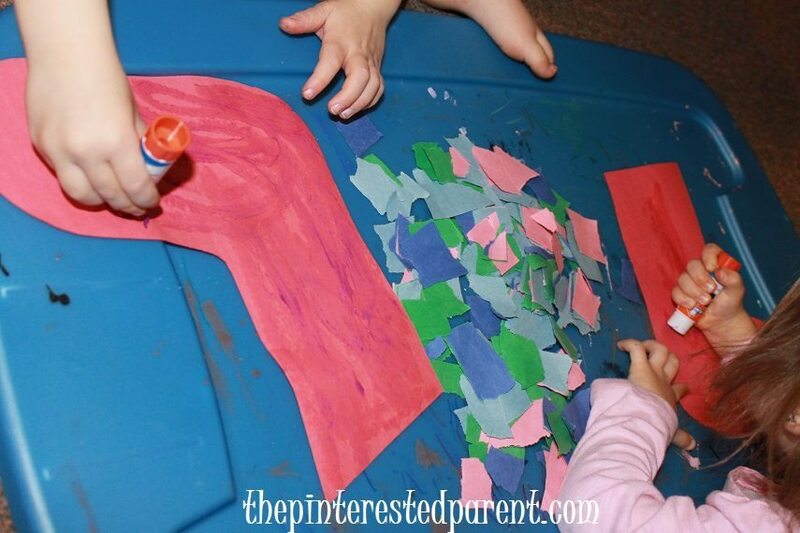 She will just grab sheets of construction paper & cut them up. Today she cracked me up when she drew a bunch of small pictures and cut them out. 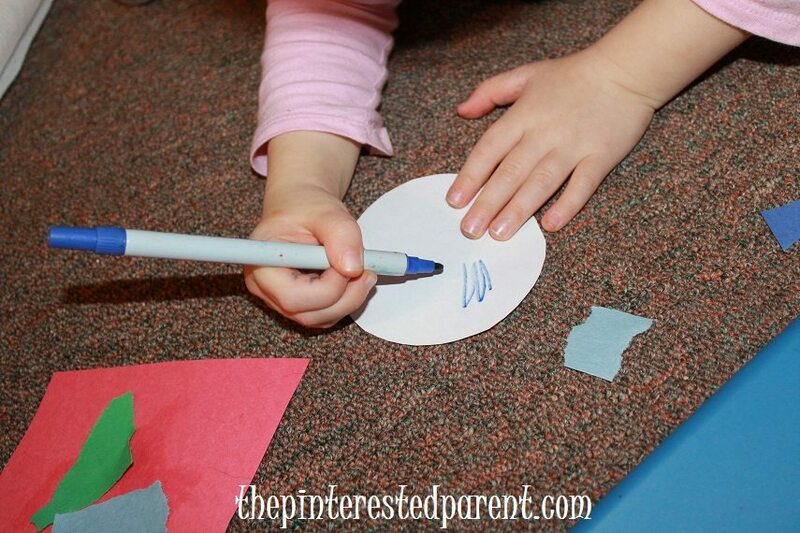 She drew a Christmas tree, a plate of cookies & she made some ice for the ground and glued them all onto another piece of paper. 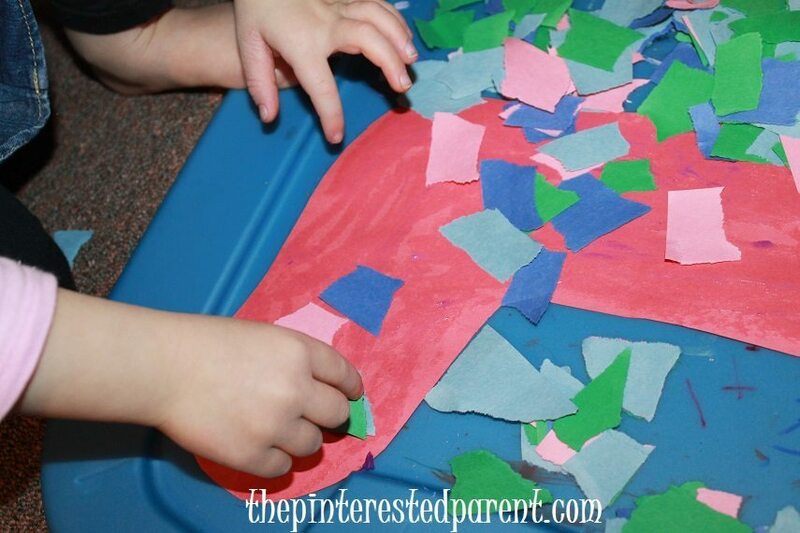 I told her that she had made a nice collage & she said “It is not a collage. It is a winter’s day mosaic.” This made me laugh. “Do you know what a mosaic is?” We have made mosaic crafts in the past & I am certain that I have told her the word, but do not think I ever explained it to her. I gave her my best explanation & told her we could make a mosaic with all of the paper that she had cut. 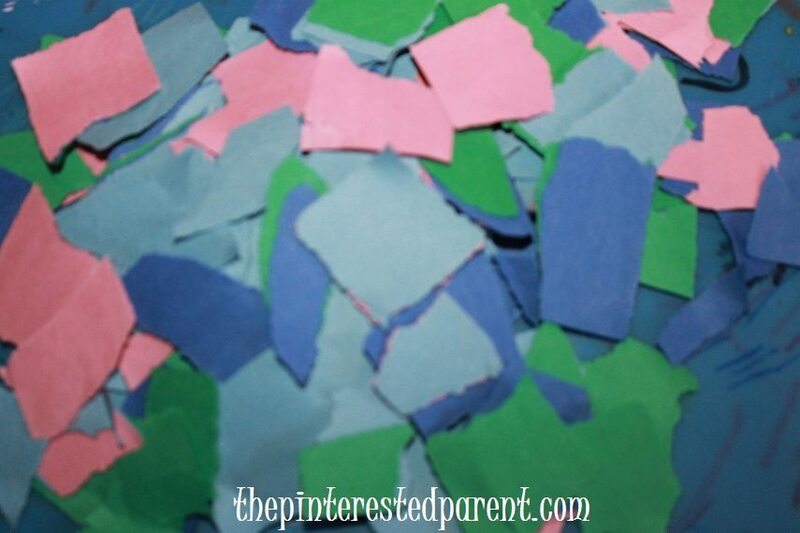 We had several sheets of half cut scraps that we tore & cut for our project. 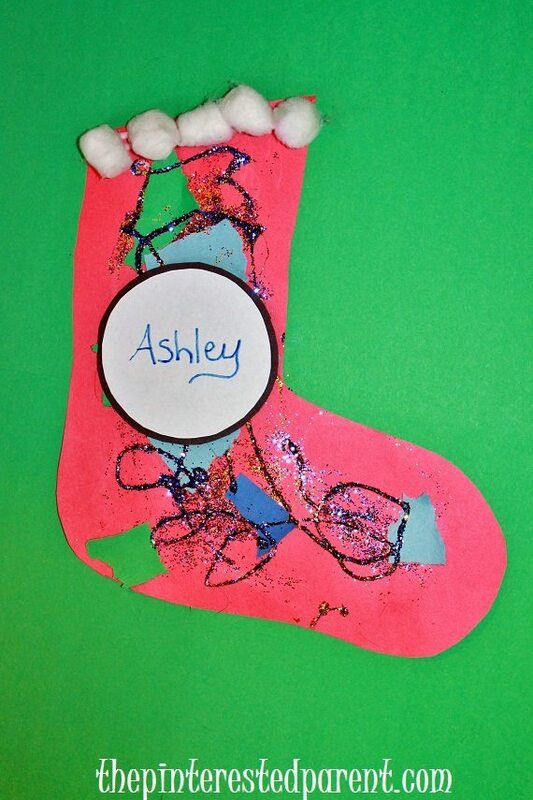 I cut a few stocking shapes out & our friend, Ashley joined us in our crafting fun. I put the pile of paper in between the two girls & handed them each a glue stick. When they were finished gluing. 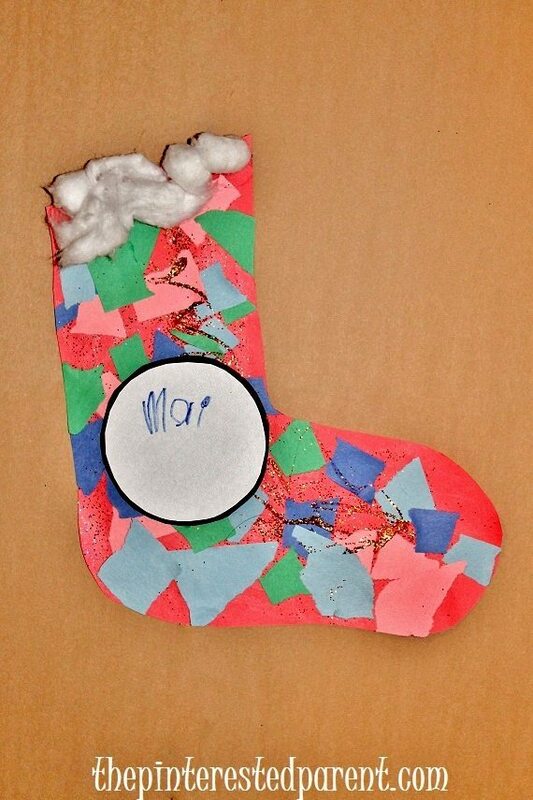 I cut away any excess paper that might have been hanging over the edge of the stockings. If a million pieces of sticky paper wasn’t enough of a mess, I brought on the glitter too. 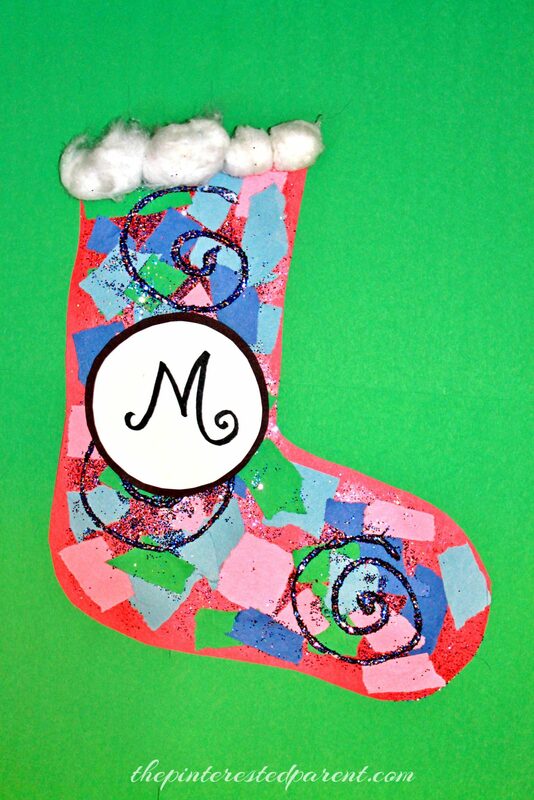 We finished off our stockings with cotton ball furry tops for our stockings & our names or initials in the middle of each. I only did & “M” for mom & Mai wanted to know where the O & the other M were. It is time to explain about initials too. 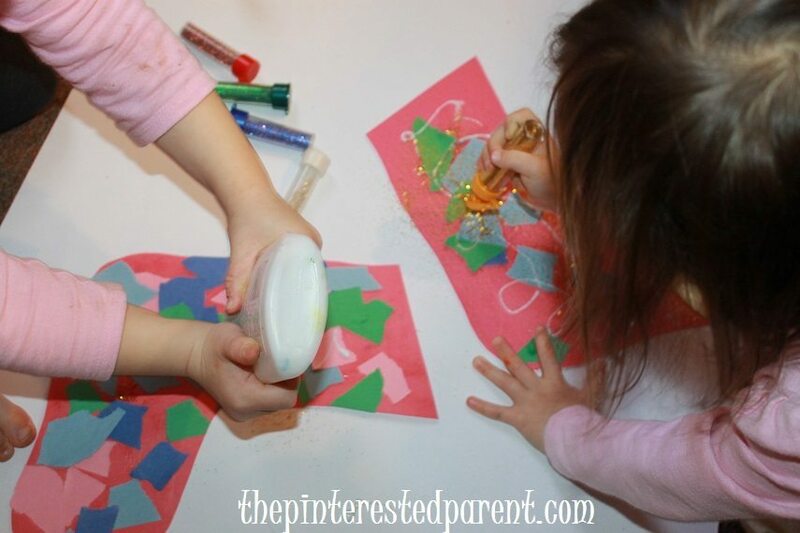 The kids enjoyed their messy craft time & I had fun vacuuming all of the glitter up after, but it was well worth the fun. Oh NO!! Lol! I am lucky that Mai has not tried this one yet. 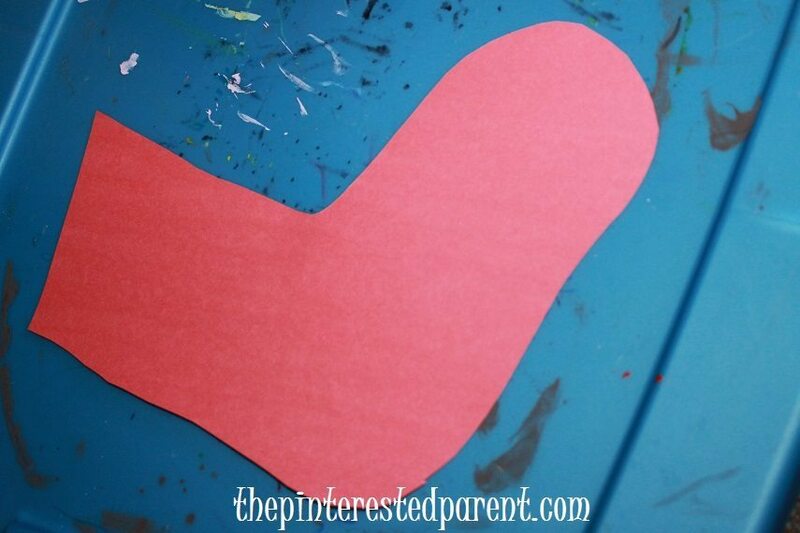 I’m not a crafty person, but this is a project that I could definitely handle doing with my kiddos! So cute! Thanks. This was a fun one for the kids.